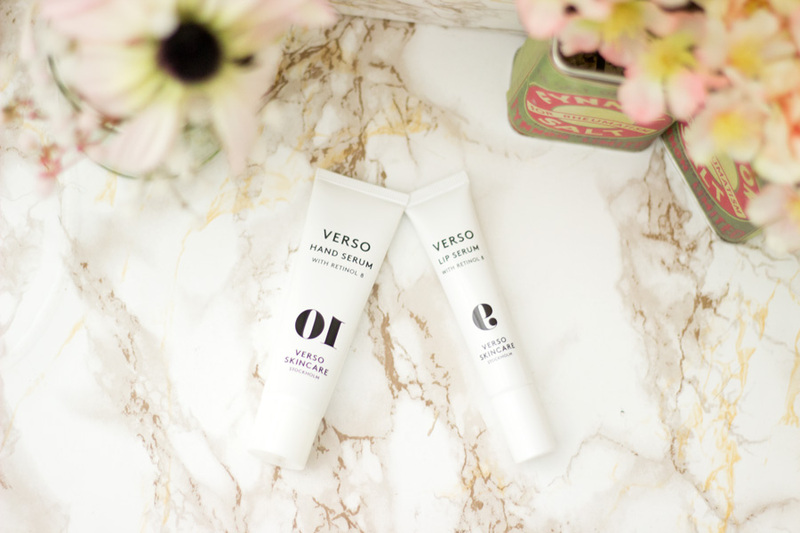 Verso skincare products are one of the few Retinol based skincare products that have not left my skin feeling dry, patchy and irritated. I am sure this is because Verso uses Retinol 8 in their formulas which is 8 times more effective than regular Retinol and far less irritating too, if I might add . 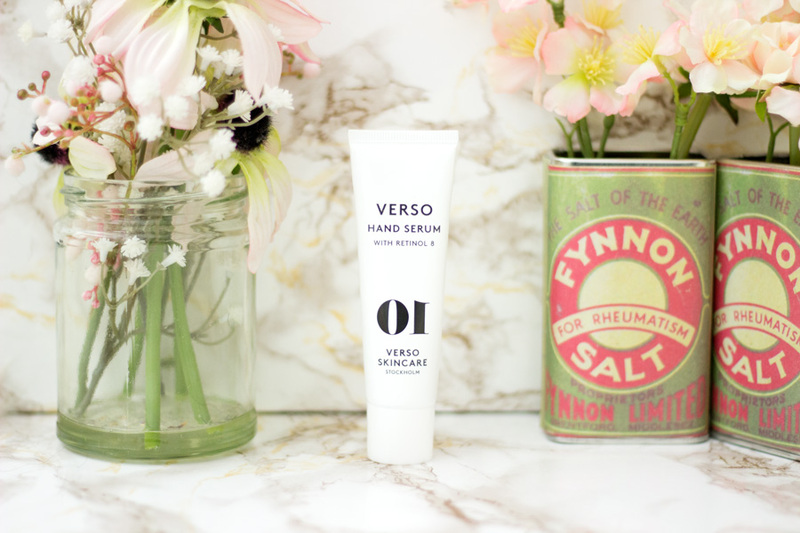 I have spoken about the Verso Day Cream and Verso Dark Spot Fix here if you fancy a ready. 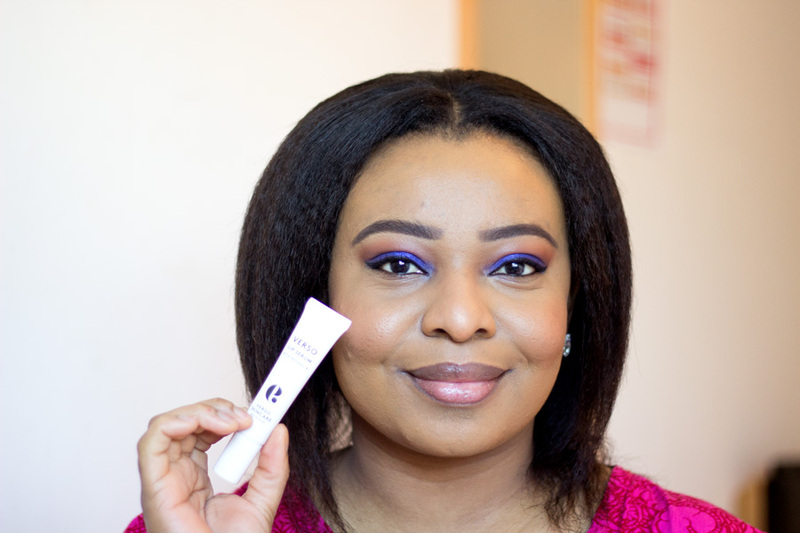 I really enjoyed them so much last year that they made it into my 2016 Skincare Favourites. Towards the end of last year, a lovely parcel arrived containing the Verso Lip Serum* and Verso Hand Serum*. 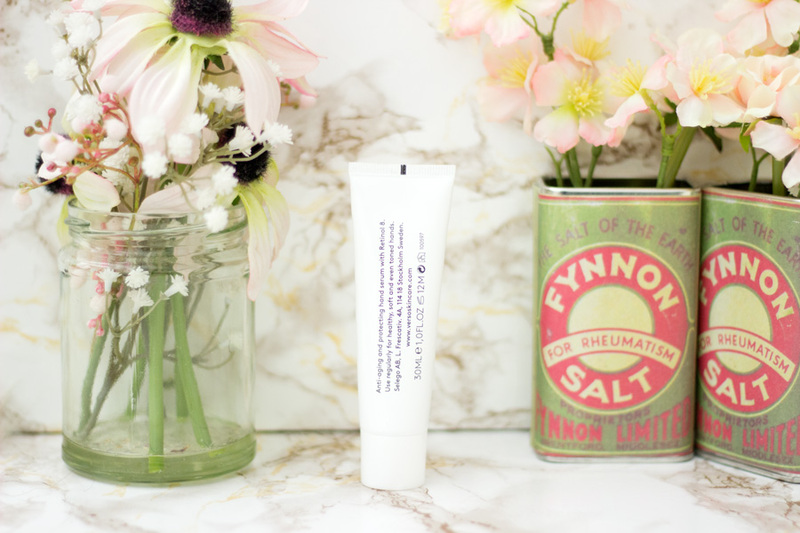 I was more than intrigued to be trying serums specifically designed for the lips and hands. I have tried them both for a good while now so I am ready to share my thoughts on them. I wanted to skip over the packaging bit because I have spoken about Verso packaging in other posts but they looked too aesthetically pleasing to ignore. I love the clean, minimal packaging design and anything monochrome always looks gorgeous. I can also let you know that they photograph so well and they are a just a joy to look at and use as well. They are just really well made and I love having them by my nightstand. Their design is also very practical which makes these products easy to use and I love that. You can tell a lot of thought has gone into the development of their packaging. 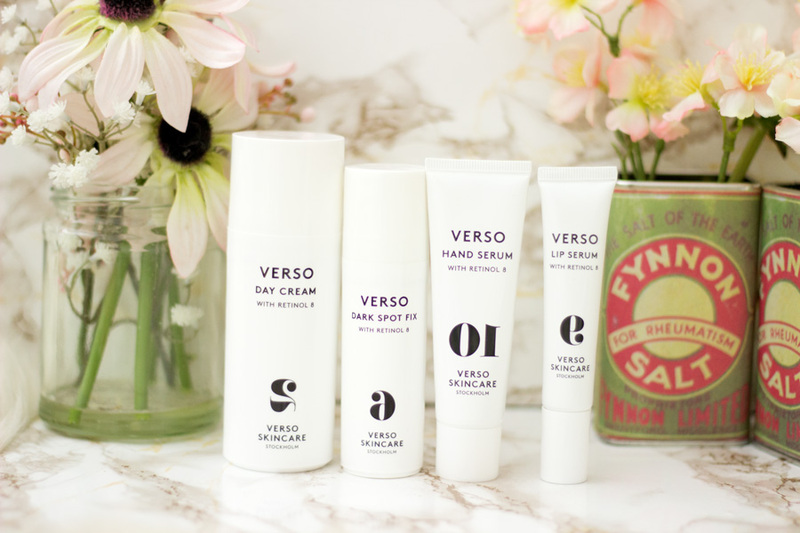 If you are familiar with Verso Skincare, you'd know that they use simple names and numbers for their range of products. For example, their Foaming Cleanser is No.1 while their Hand Serum is No.10. The Verso Hand Serum is described an anti-ageing, protecting hand serum with Retinol 8. It promises to keep the hands healthy, soft and even toned with regular use. I am not too fussed about ageing at this point in my life but I do know that the hands are one of the first parts of the body to show telltale signs of ageing. I am very much into using hand creams and taking care of the hands. 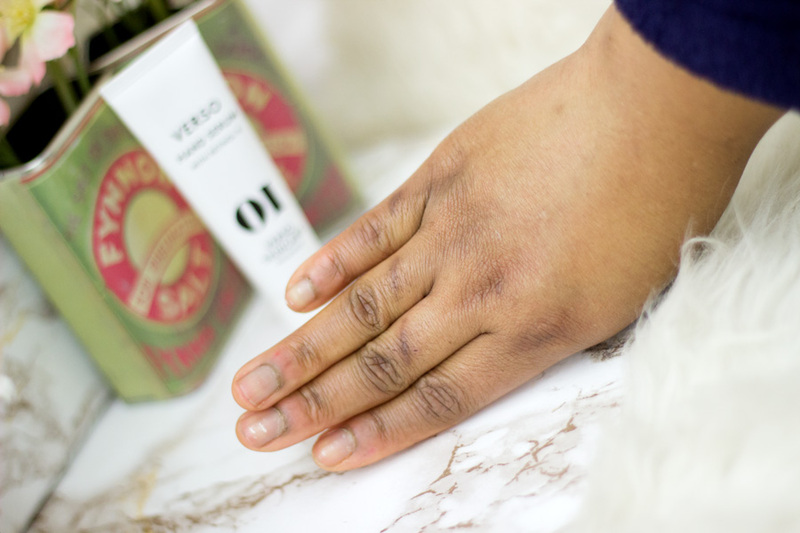 The Verso Hand Serum came in very handy (forgive the lame pun; I could not resist) during winter because my hands were so dry. 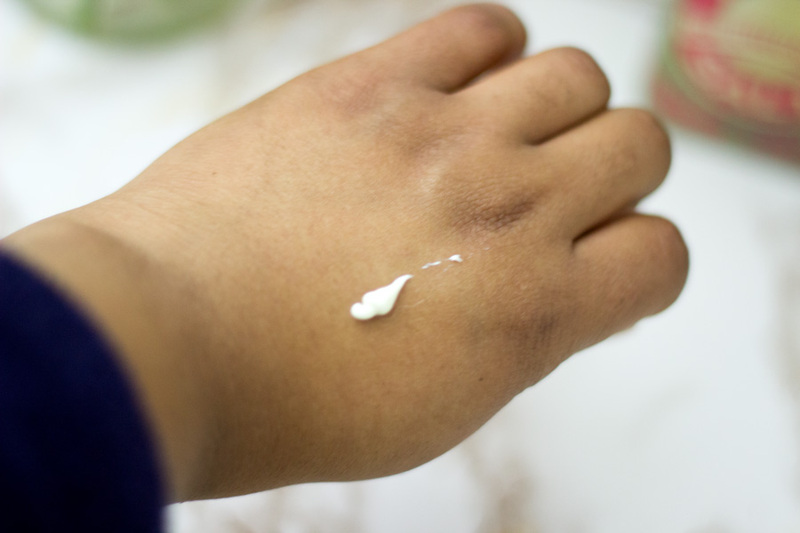 None of my other hand creams seemed to be working as well ( or maybe my hands had gotten too used to them). I started using the Verso Hand Serum every night, sometimes alone and other times under another hand cream. 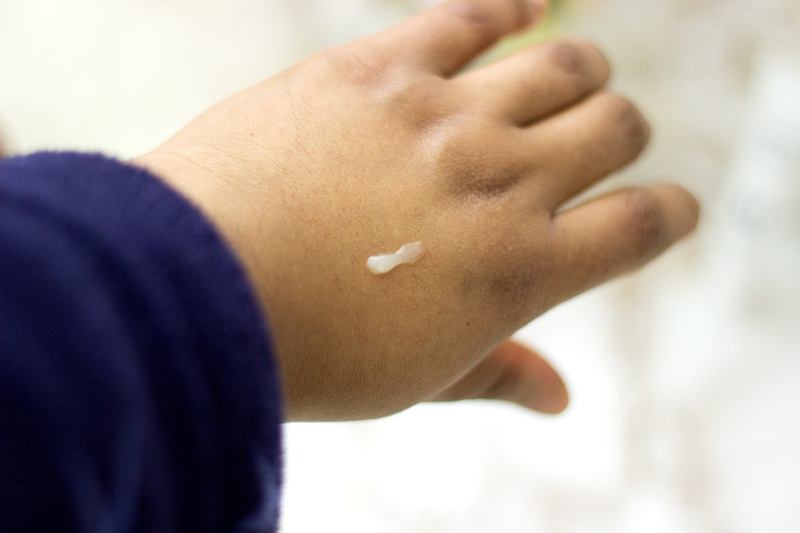 My hands were able to retain moisture so much better and they remained soft as well. I believe you can use the Verso Hand Serum at any time of the day but I prefer to use it at night so I can wake up to really soft mitts. The most amazing thing about this Verso Hand Serum is its ability to prevent and work on scarring/dark marks on the hands. A little while before this Hand Serum arrived, I was trying to open a parcel with my scissors and it accidentally slashed across my three fingers (just below my knuckles). I was not a happy bunny and it was quite painful but the pain subsided. After a few days, I noticed that the areas of the slash (on my fingers) were getting darker as they healed. I whipped out the Verso Hand Serum and decided to use it nice and early to see if it would help. I am happy to report that the dark marks/scars are fading so nicely and believe me, they looked so dark when it initially happened. I am so happy I got to try this and while it is super expensive, I do think it deliverswhat it promises based on my experience. Of course, we can only judge its anti-ageing abilities over the years so time will tell Or what do you think? However, the fact that it does contain Retinol lends credibility to its anti-ageing claim as we all know Retinol is known for its anti-ageing skin benefits among others. I am pretty sure I must have mentioned this amazing lip serum more than a few times since it arrived last year. 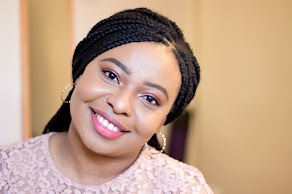 It was my go-to lip product during winter and it has still remained my favourite. 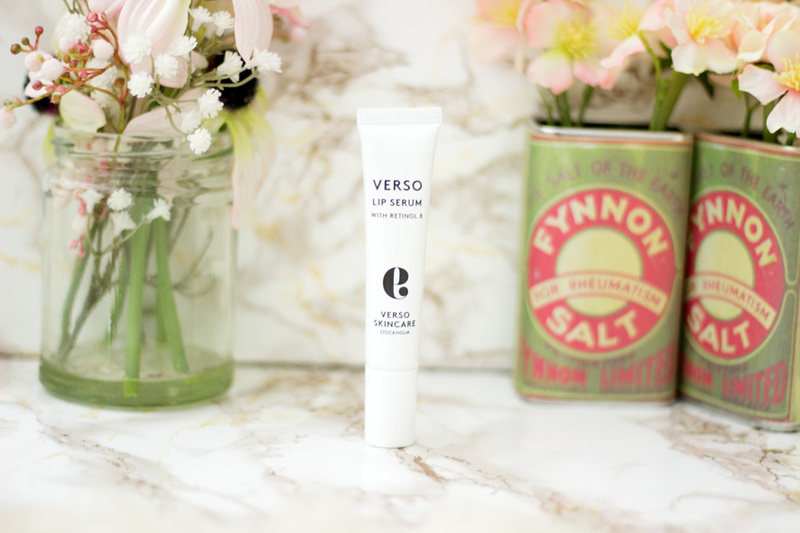 Verso describes it as an anti-ageing, softening and plumping lip serum with Retinol 8. It promises to give hydrated, smooth and full lips. Who would not be all over a lip serum with these lovely claims? 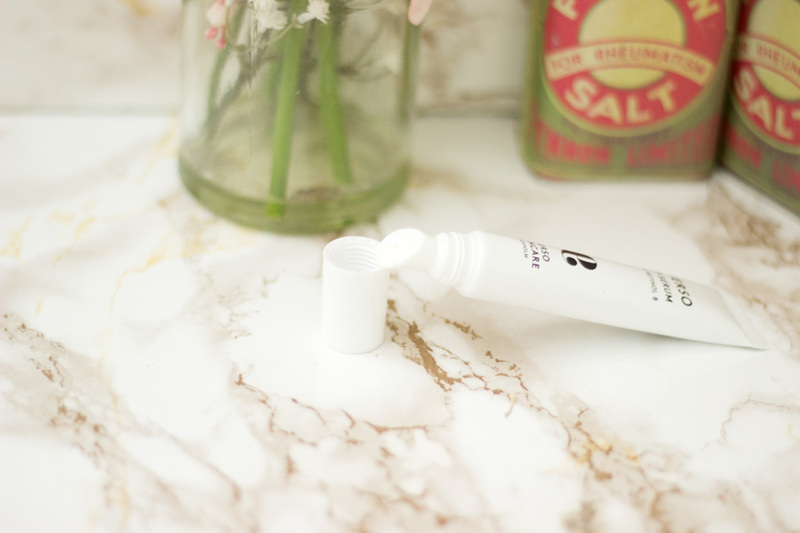 I could not wait to try it out and it arrived at the best time to try it- Winter time when my lips were super dry, chapped, cracked and cranky. First off, I am very much in love with the gorgeous minimalist packaging. I love that the tip is shaped for easy application across the lips. It is very hygienic (as no need for fingers) and it helps prevent waste. It does not have any fragrance so it is suitable for all skin types. It feels like a silky lip balm and applies really well across my lips. It does not feel greasy or heavy but I can definitely feel it on lips for a little while before it sinks in. To be honest, I don't really mind because the results are so worthwhile. It does contain Retinol 8 so I just prefer to wear it at night when I know I won't be in the sunlight. I have used it on many mornings (when I have forgotten to use it the night before) and I have not experienced any problems with it. I usually wear it under my lipstick of the day and I have to say it does improve the way my lipstick applies and wears through the day. 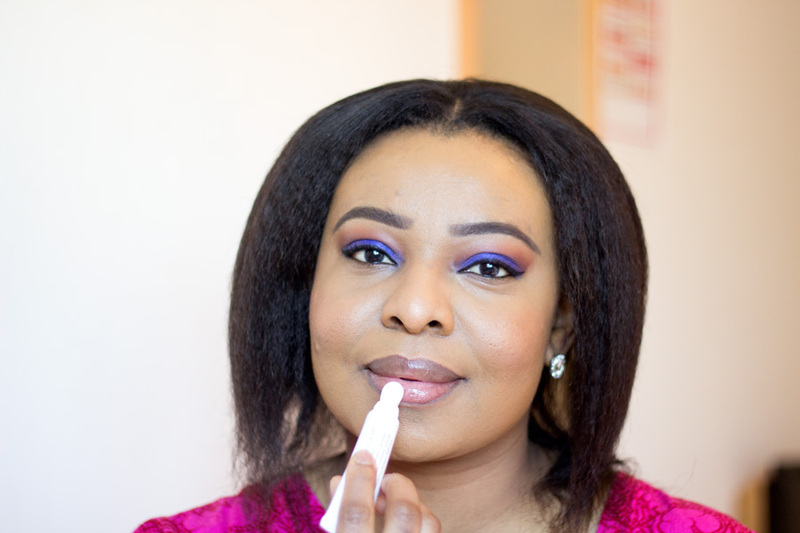 It does not interfere with my lipsticks and I have used it under quite a few finishes including liquid lipsticks and matte lipsticks. Now on to the claims of this gorgeous lip serum. As I mentioned earlier, I can't say if it is anti-ageing or not because only time will tell. However, I can definitely see an improvement in the general look and feel of my lips. My lips feel very smooth which is not the norm especially when it is winter. During this cold season, my lips have felt far better than in previous years and the only new thing I have added to my routine is this Verso Lip Serum so I know it's mainly down to it. I can say it definitely lives up to majority of its claims based on my experience. 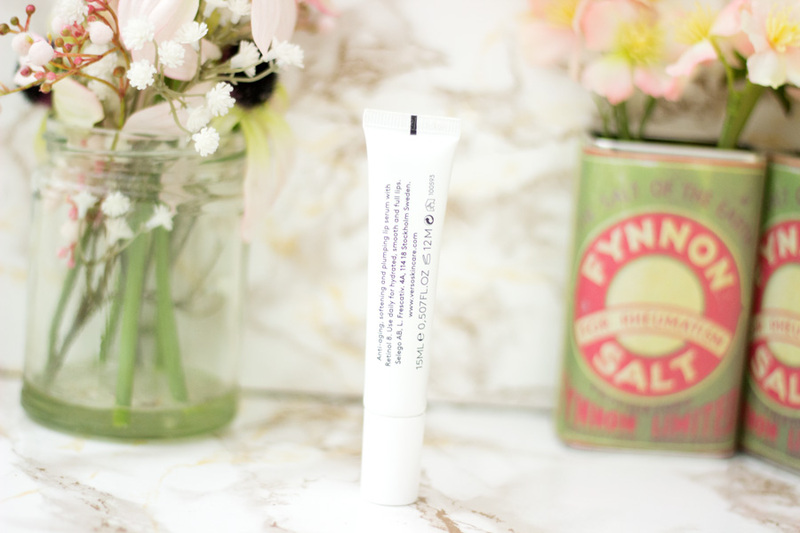 I love that you get immediate results in terms of how it eases up any dryness and I know I am guaranteed soft and hydrated lips the next morning (when I use it the night before). It has become a staple product in my night skincare routine. I have to say that although it is very expensive for a lip product, it is actually worth the price and Verso is a premium brand so it's not a surprise. 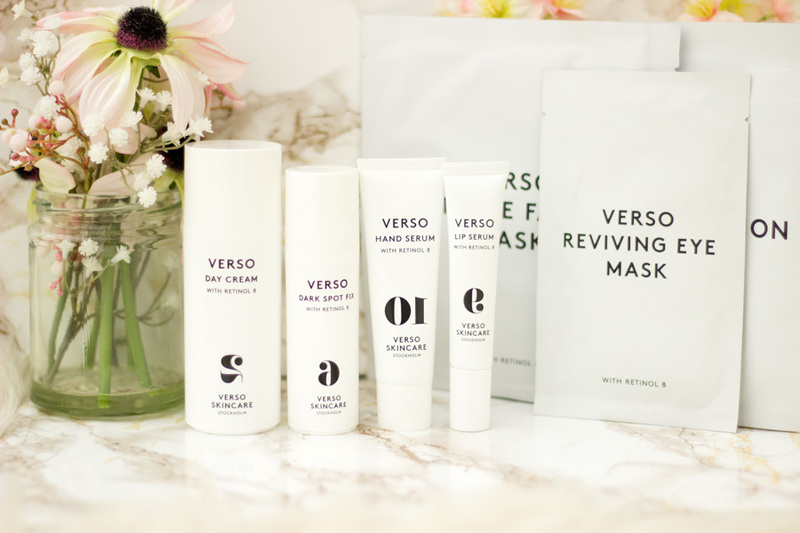 Verso Skincare products can be purchased from the Verso Skincare website and from the following retailers: Cult Beauty, Look Fantastic, Net-a-Porter and Beauty Bay as far as I know. I believe if you subscribe to these websites' newsletters, you'd be informed of when they have discounts so you can save some money if you are looking to purchase these babies. 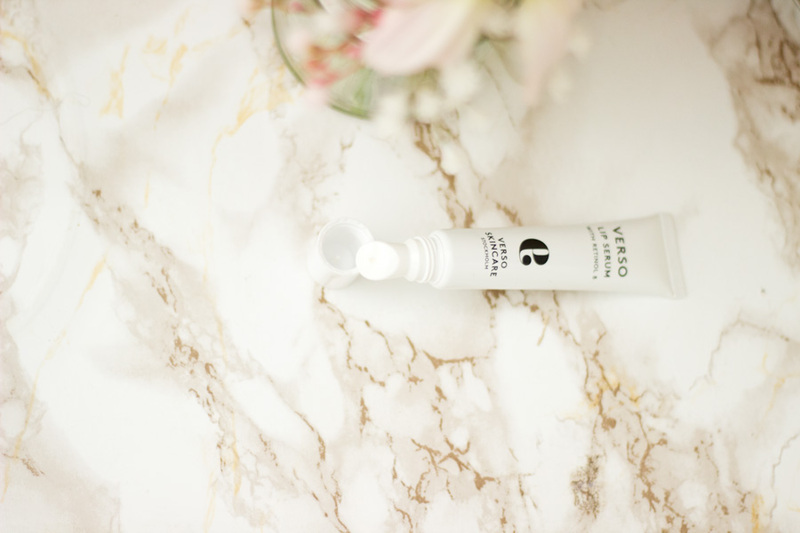 Apart from the Verso Lip Serum and Hand Serum, they have a lovely range of other products which they stock including my favourites- the Verso Day Cream* and Verso Dark Spot Fix*. What else can I say? 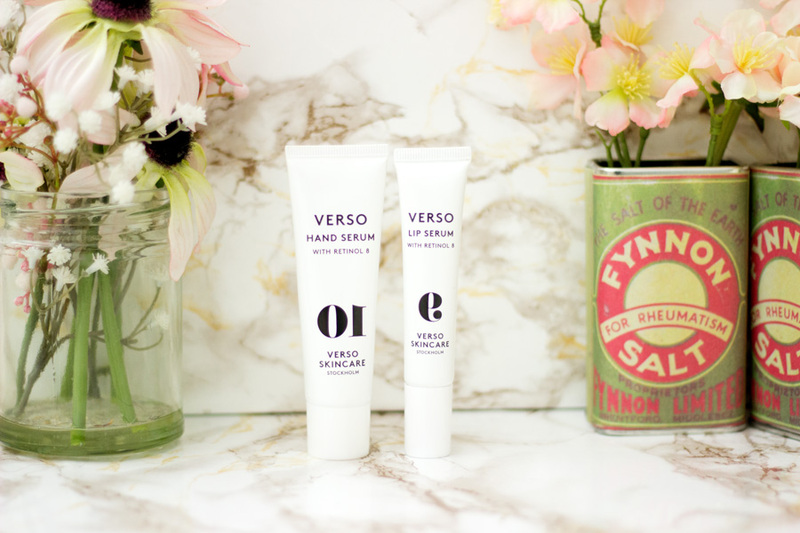 I have absolutely enjoyed using the Verso Lip Serum and Verso Hand Serum. I have seen really good results with them and I have been very impressed. When I am lucky to get sent very expensive products, I am eagle eyed when it comes to testing them out because I will never want to recommend something that's not worth the price. 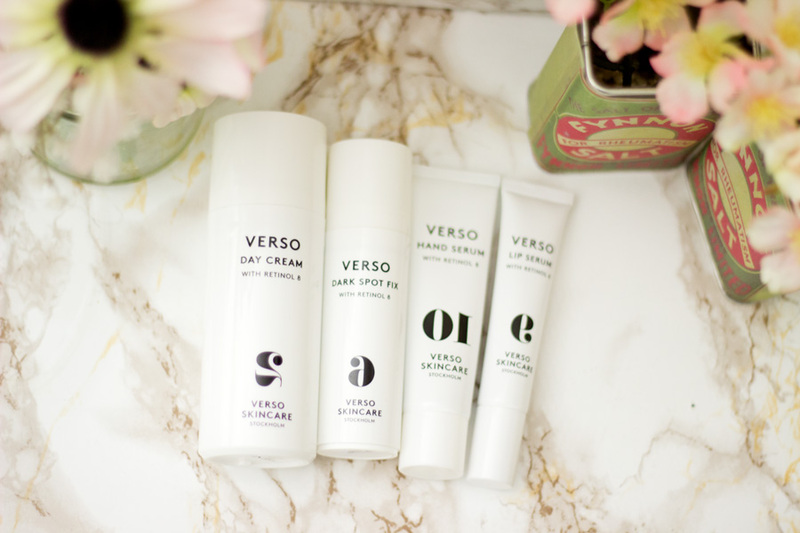 However, I do have to say these Verso products are worth the price and I will definitely be looking to repurchase or get a loved one to treat me with them when they run out (hehehe). Hope you enjoyed this post and see you in my next post. P.S. So sorry for the lack of posts; I have been incredibly busy at work. Things are easing up going forward so expect loads of posts because I have been testing out a tonne of products which I'd be reviewing on here.